The CAMP Touring Leash adds support while climbing and prevents you from dropping your ice axe. It consists of a simple rubber ring that holds up a strap of webbing, which you then put your wrist through. The strap can slide up and down the shaft above the rubber ring so you can switch between picking and plunging. Verified to fit the Corsa and Corsa Nanotech ice axes. 29 grams (1.0 ounces). 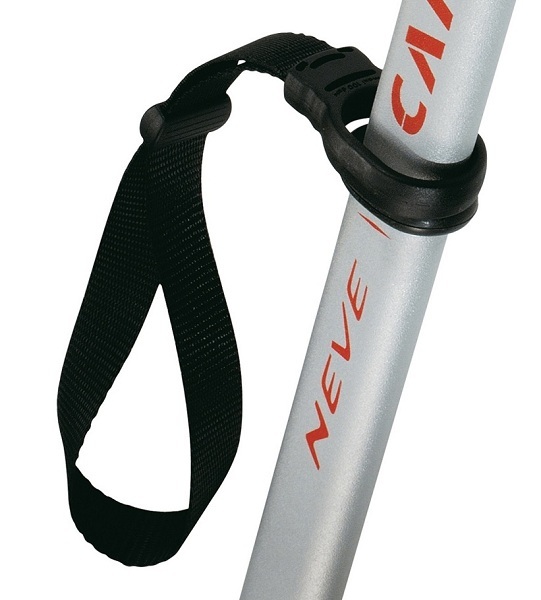 Overall: A nice basic and very light leash that complements CAMP ice axes, so Five Stars. Background on product familiarity: I have been using the CAMP Touring Leash on my CAMP Corsa Nanotech ice axe since 2008. First, the first impressions out of the box: The leash adjusts easily to different hand/wrist sizes, and can also be moved up and down the shaft if necessary (via the rubber ring). Second impressions, in use: The leash is nicely supportive and comfortable. I did experience some slipping of the loop size adjustment. So I slipped a zip tie loop through the adjustment mechanism to tighten it up a little bit. Ever since, it is easy to tighten up when I need to do so, yet retains its setting even under stress. Third impressions, for long-term durability: Pretty much still indistinguishable from new. What is 7 + 11?